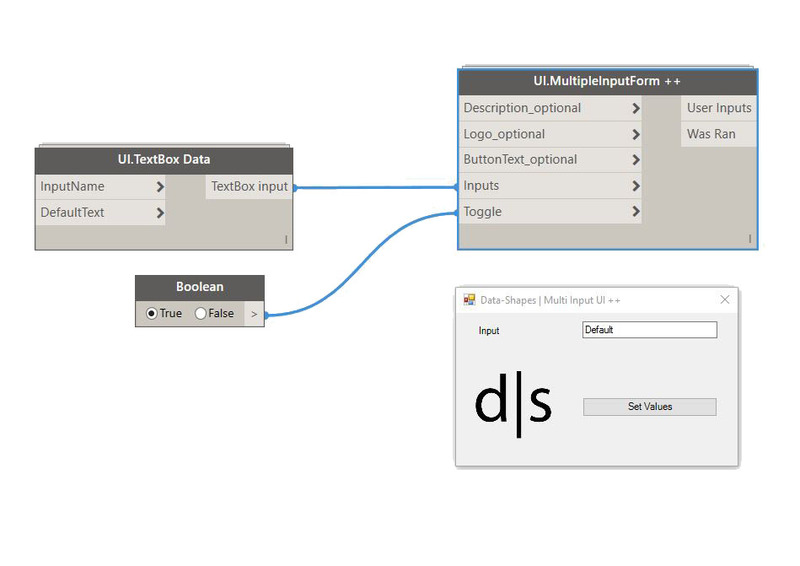 Those who have paid attention to my previous post might have noticed that there was a new Form creation node in the Data-Shapes package called “UI.MultipleInputForm++” . 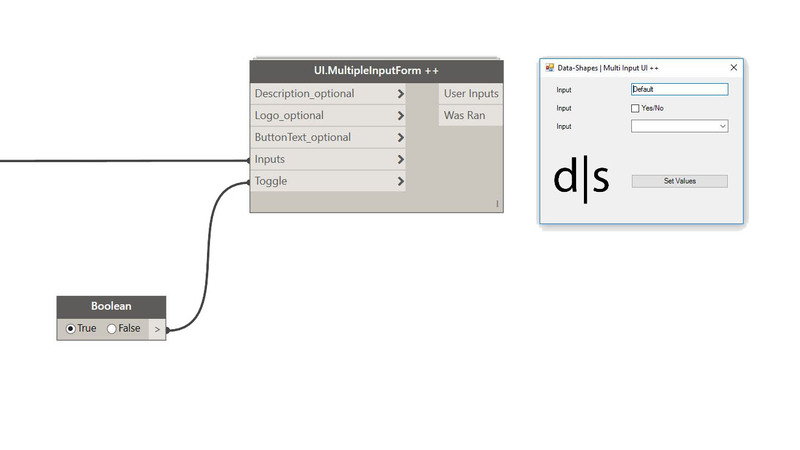 Edit: all the forms of the Data-Shapes Package now handle all screen resolution. The logo input is optional. In case you don’t add an image input, you’ll see the default Data-Shapes logo. This input is optional too and the default ButtonText value is “Set Values”. In case you don’t enter default values, the buttons will read “FilePath” and “DirectoryPath”. 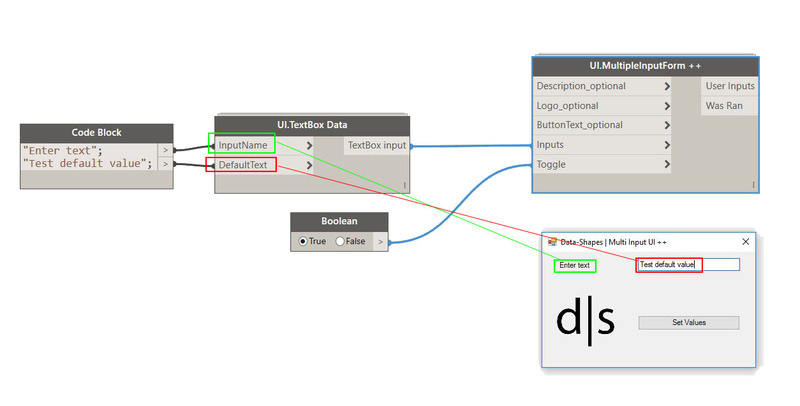 Revit selection inputs : For those types of input, you’ll need “UI.SelectModelElements Data”, “UI.SelectFaces Data” and “UI.SelectEdges Data” nodes. You can set the input label and the text that will be written on the buttons. If you don’t specify anything, generic texts (“Input”, “Select Face(s)”…) will be used. 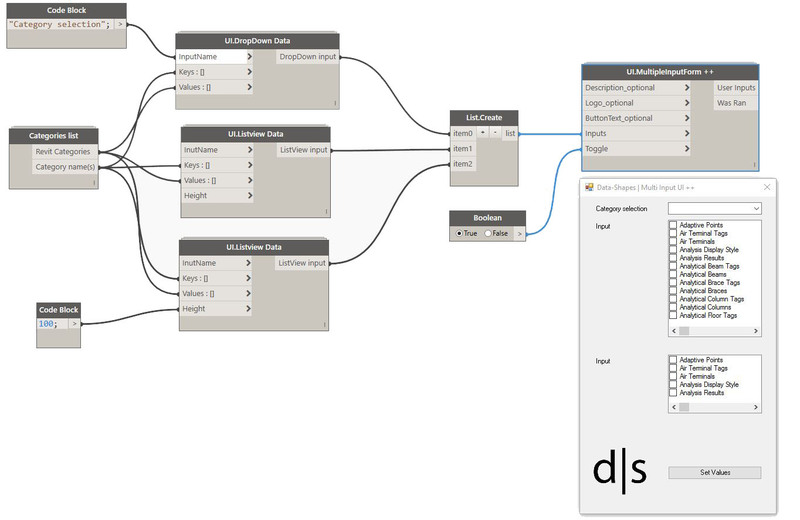 I hope this will further help people adopt dynamo workflows in your workplaces ! I just had my first chance to try these out and using the dropdown node with lists I get “IronPython.Runtime.List” showing up in the userform dropdown instead of my list of keys. Any thoughts on what I’m doing wrong? Thanks. 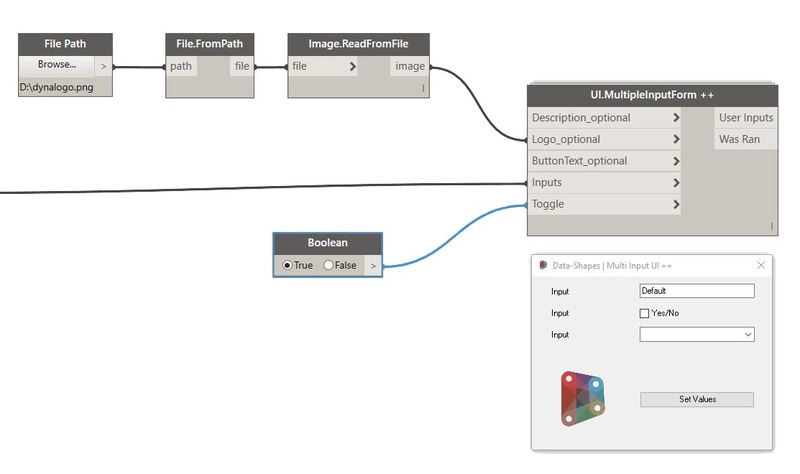 Hi Scott , could you upload a picture of your inputs to the “UI.Dropdown data” node ? I would be happy to but am really a novice at this apparently – I don’t see a way to add an image to my reply…. have you pressed finish at the top left of the revit window after you performed your selection ? That’s it! I was so focussed on the new window that I completely missed it. It just works fine! Thank you. Thanks for pointing this out!! I fixed it so it doesn’t keep the form from working with previous revit versions. 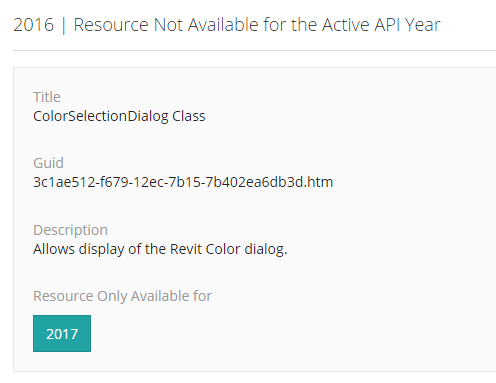 It will just let you know that the ColorSelection input is only available for Revit 2017. You can upload the package to version 2017.01.03 . Please let me know if it runs well. I wish the listview section would scroll vertically instead of horizontally. Or maybe both directions if the name is longer, so you can see it all. That should get you a vertical list and horizontal scrollbars if the content is too wide to fit in th listbox. Thank you for this work. 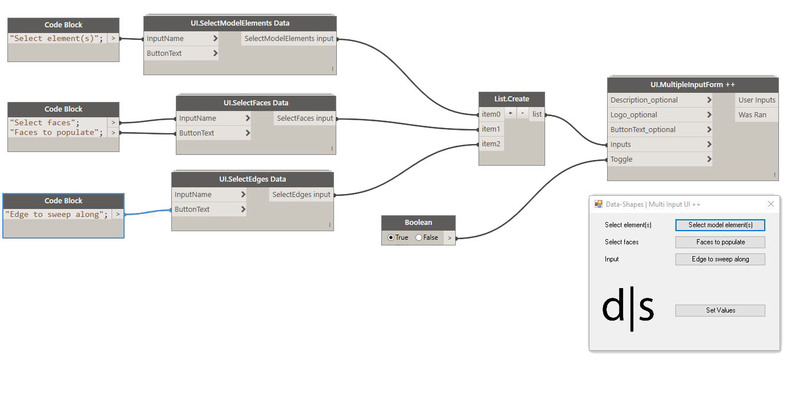 Together with Revit 2017 it will be a breakthrough for Dynamo. 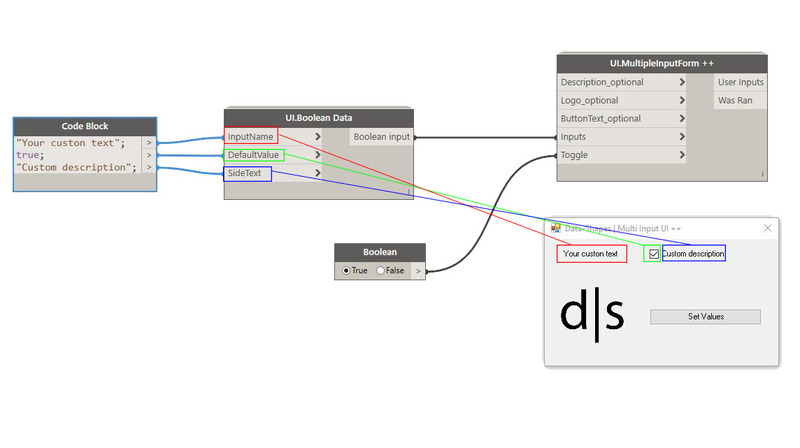 It will allow everyone to use Dynamo scripts. I agree, this is such a huge contribution to the community. Well done! Furthermore, I saw that there was added an integer slider to the newest update of the package – is there any way to insert a ‘step-value’ for this slider? I haven’t been succesful in doing so. Yes it’s in the works . I will update the article when it’s implemented. I’ll keep you updated ! I can’t get the player to run my routine over and over and over again. So first run: all ok.
Second run: didn’t run. Error. could you share more infos about your workflow ? If you start a thread in the Dynamo Forum I’ll look into it. i was trying to duplicate the example “DropDown and ListView inputs” from above. i get the drop down menues as sh0wn, but the only problem ist that the categories names appear as “Autodesk.Revit.DB.Categories” instead of showing the real name of the category, i tried to figure it out but could not get the reason behind it. are your dialogue boxes able to be active…most of the time I use them it is for a single-function input. I would like to have a UI while running in Automatic mode.